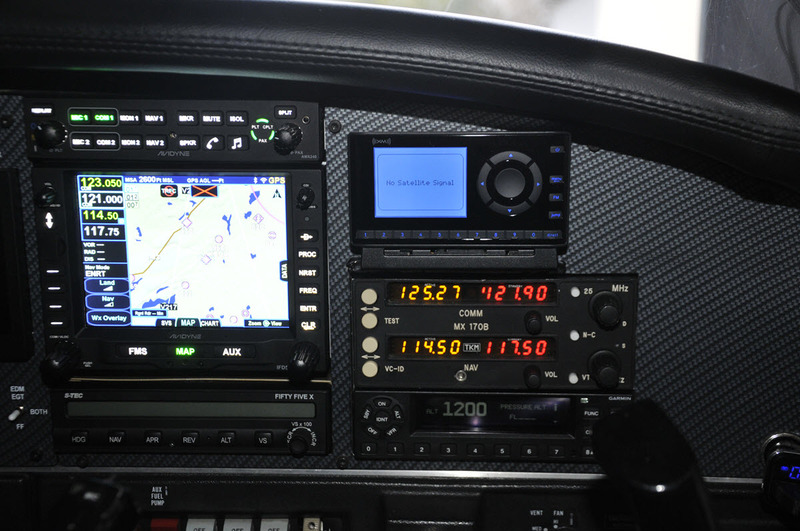 With all of the new avionics out there, with ABS-B around the corner, with all of the opportunities for a shiny new airplane, is what you’re listening to while flying your airplane a trivial topic? Maybe so, but this is my favorite part of my airplane! If you’ve been flying a long time like I have, you probably have gone through a variety of entertainment sources. In my early years way back in the 1960s I’d find an AM radio station on my ADF. I could listen to one clear channel station for hundreds of miles while cruising across the country in my little 152. Of course, AM radio wasn’t very high in fidelity – it certainly wasn’t stereo, and we didn’t have headphones in those days. We would crank up the volume on the ceiling speaker, a pretty dismal way to listen to a scratchy AM radio. Then the folks at Sony developed the Walkman cassette tape recorder and I got a pair of David Clark headphones and jury-rigged an 8 ohm to 600 ohm matching transformer so the headphones would work with the Walkman. I was a VFR pilot back then and constantly listening to the com wasn’t necessary. Even if you did listen to it, chances are there was no one else on the air. The Walkman solution was a definite step up from the ADF and was soon followed by a portable CD player. By then I had an intercom in the plane with a music jack on it. Eventually, Steve Jobs and friends invented the iPod. I spent about 10 years listening to various iterations of that. The only problem with all of these sound sources was that I had to spend hours producing CDs or loading iPods, which I detested, even though it was worth it. Technology marches on, and as good as those later sources were, none of them stacked up against the Sirius/XM receivers I have had in my last two airplanes over the last 10 years. For $49.99 you can get a model Onyx EZ Sirius/XM receiver from www.SiriusXM.com and a subscription in the neighborhood of $5 per month for the first 12 months (based on website offers I saw in late 2018) and you can get scores of music, news and comedy entertainment channels, all in high fidelity and stereo. There are four different models ranging from $49.99 to $79.99 and various accessories if you want to use the radio in your home and car in addition to your airplane. Not much money buys a tremendous amount of value and capability. Too bad ADS-B doesn’t cost $49.99! In my plane, I used double-sided tape to stick the radio mounting bracket to the panel. The radio plugs into the bracket and can be removed and placed in other brackets for home and auto, as mentioned above. Doing so then allows you to have just one subscription and move the radio around at will, a very nice option, in my view. In my plane I put the postage-stamp sized antenna on the glareshield, plugged the power plug into the cigarette lighter and the audio cord into my intercom’s aux input. It’s my favorite part of the airplane, and it’s portable so our friends in Washington aren’t concerned. Frankly, nothing beats the view out your windshield accompanied by your favorite tunes. My advice? Try it! It may be the cheapest upgrade you can do with the most value. All you need is a cigarette lighter and an aux input on your audio panel.